Carnevale Real Estate Professionals possess over 30 Years Experience dealing both in California and National United States Real Estate transactions. 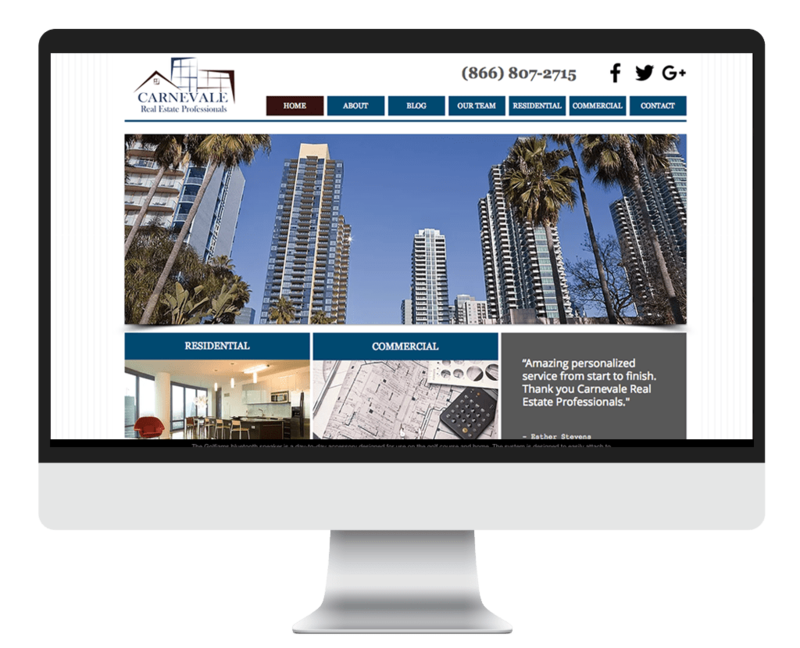 The experts at Carnevale Real Estate Professionals have experience in dealing with clients interested in both Residential and Commercial properties. The clients we represent are both Residential and Commercial Buyers, Sellers, Investors and Developers. We also hold a special interest in helping Small Businesses own the properties where their business is based. As a small private brokerage Carnevale Real Estate Professionals is focused on our clients needs without the pressure of a corporate agenda or the large brokerage business plan. Our clients experience professional and personal customer service and we stand by our clients every step of the way. At Carnevale Real Estate Professionals our clients come first! Dominic Carnevale is a licensed Real Estate Broker and entrepreneur. He is a lover of all things business and especially enjoys working with fellow entrepreneurs and business owners. Aside from being the President and CEO of Carnevale Real Estate Professionals, Dominic is involved in four other successful ventures as a Business Executive. He understands the minds of business owners and executives and is especially suited for negotiations where business is part of the deal. Dominic began his Real Estate Career in 2004 as a Sales Associate at Marcus & Millichap where he focused his energies on sales of Office, Industrial, and Retail investment and owner/user properties. He has expertise on both sides of a real estate transaction working with buyers and sellers and has specialization in Small Business transactions. Dominic was recruited by CBRE in 2007 with the intention to focus nationally on Medical Office and Hospital properties. At CBRE Dominic became effective dealing with Landlords and Tenants regarding lease negotiation and execution. In 2008 Dominic left the corporate brokerage world and decided to open Carnevale Real Estate Professionals. His belief in opening the boutique shop was due to his interest in helping his clients while not being controlled by a corporate agenda. Clients come first at Carnevale Real Estate Professionals. Dominic is a fully rounded Real Estate Professional and his here to serve you or your businesses Commercial or Residential Real Estate Needs. If you are an investor, owner user or developer you are definitely in good hands!